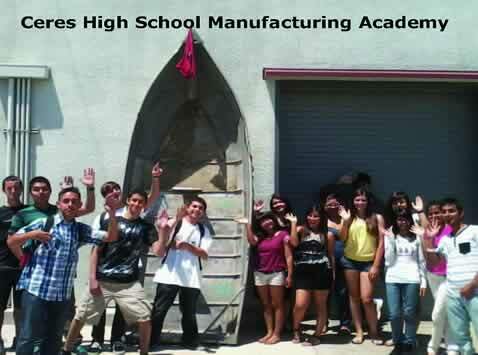 On May 31, 2012 David and Rita Yonan owners of All Star Trophies in Turlock generously donated a 12 foot aluminum boat to the Ceres High School Manufacturing Academy. The Academy teachers and students are so grateful for the donation – students now have an opportunity to learn how green and clean technologies can result in a solar powered boat project. The Academy plans to use the boat in the annual Solar Regatta competition. Thank You All Star Trophies!! !